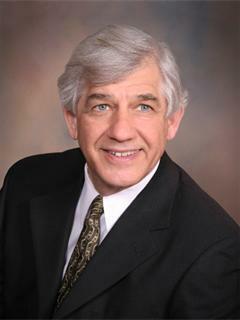 The Executive Director of the Pennsylvania Legal Aid Network, Inc. (PLAN, Inc.) is Samuel W. Milkes, Esq., who was hired into that position by the board starting May 2001. While a resume is attached, his background is rich in legal services experience. After graduating from Indiana University School of Law in 1979, he began as a staff attorney in the Carlisle office of Legal Services, Inc. (now a part of MidPenn Legal Services). Later becoming office manager, in 1983 he was promoted to Deputy Director of the four-county program. In 1986, he was hired as Executive Director of Central Pennsylvania Legal Services (also now a part of MidPenn Legal Services), a six-county program, and he moved to Lancaster. In 1992, he resigned from that position to enter private practice, which occupied him for nearly a decade. While in private practice in Carlisle, with the firm of Jacobsen & Milkes, Sam handled a general practice, mostly including family law, estate, social security disability, and criminal law. During this tenure, he was also a part-time Public Defender for Cumberland County, which led to his trying many jury trials, including two capital murder cases. Also during this tenure in private practice, Sam was the part-time Executive Director of the Community Justice Project, a position he held from his offices in Carlisle. Sam left his private practice to move into his current role as Executive Director of PLAN, Inc. While much of Sam’s career in legal services has been in various management roles, he also carried an active caseload during much of this time. He is proud to have handled hundreds, if not thousands of Protection from Abuse cases, many landlord-tenant cases, and many welfare and Social Security/SSI cases. Two landmark cases of which he is especially proud include one which led to the construction of a new Cumberland County Prison, to replace the dungeon like and dangerous facilities of the old prison, and another in which the Third Circuit Court of Appeals ruled that a person denied disability benefits has the right to engage in discovery efforts with the Social Security Administration, to help prove that the system of appointing and overseeing Administrative Law Judges promoted bias in those judges and that the particular judge in this case was biased. This client ultimately received her benefits. Sam is played a major role in the enactment of the Access to Justice Act in 2002, creating a filing fee surcharge to support legal services. This now generates nearly $10 million annually to support our work. He also was significantly involved the initial legislative enactment of the IOLTA program, while he was Executive Director of Central Pennsylvania Legal Services and President of the Pennsylvania Project Directors Association. The IOLTA program was initially a legislative creation. The Supreme Court of Pennsylvania later declared the program to be a Court creation and the Court improved the program by changing it from voluntary to comprehensive participation. These accomplishments involved a close partnership with Al Azen, former Controller of Pennsylvania Legal Services Center (the original name of PLAN, Inc.) and the only Executive Director of the IOLTA program under both the legislative and Court created versions. During his tenure, Sam has also promoted the increased use of technological advancements to improve access to justice for our clients. This has included improvements at PLAN, Inc., such as moving from the individual dial-up work stations that existed in 2001 to the wireless exchange-server based access that now exists. It has also included promoting the development of the www.PALawHELP.org website, which is a highly used client-oriented source of valuable legal and resource information. The first Executive Director of PLAN, Inc. (then Pennsylvania Legal Services Center) was Gerald Kauffman, Esq. Mr. Kauffman was a former legislator and he believed in a very client-oriented, assertive legal aid system. Mr. Kauffman was replaced by Howard Thorkelson, Esq., the longest-tenured Executive Director, who held the position for about 10 years. Mr. Thorkelson was replaced by Otto Hoffman, Esq. (Director for 4.5 years) and then by Orient Johnson, Esq. (Director for 2.5 years). Following Mr. Johnson, Marcus Williams, Esq. held the position for four years, while the program was renamed Pennsylvania Legal Services and he was followed by Mr. Milkes. During periods of transition to new Directors, others have been Acting Executive Directors. Phyllis Guillaume, the Controller at PLAN, Inc. (and its predecessor corporate entities) for many years, was Acting Executive Director on at least two occasions. Al Azen served as Acting Executive Director before Otto Hoffman was hired in April, 1988. Eve Biskind-Klothen, Esq. was also Acting Executive Director between Williams and Milkes. She stepped down from the board to assume this role. PLAN, Inc. is the creation of a merger of the Pennsylvania Legal Services Center and the Law Coordination Center (LCC). At that time, it was named Pennsylvania Legal Services and in 2006, it was renamed PLAN, Inc. For more background on the history of PLAN, Inc., see the history page of our website. There were two Executive Directors of the LCC before its merger with PLSC. The founding Director was Randy Chapman and the Directors who led the program into the merger were Larry Lavin and Carolyn Worrell, who was the Acting Executive Director of LCC when Lavin left.